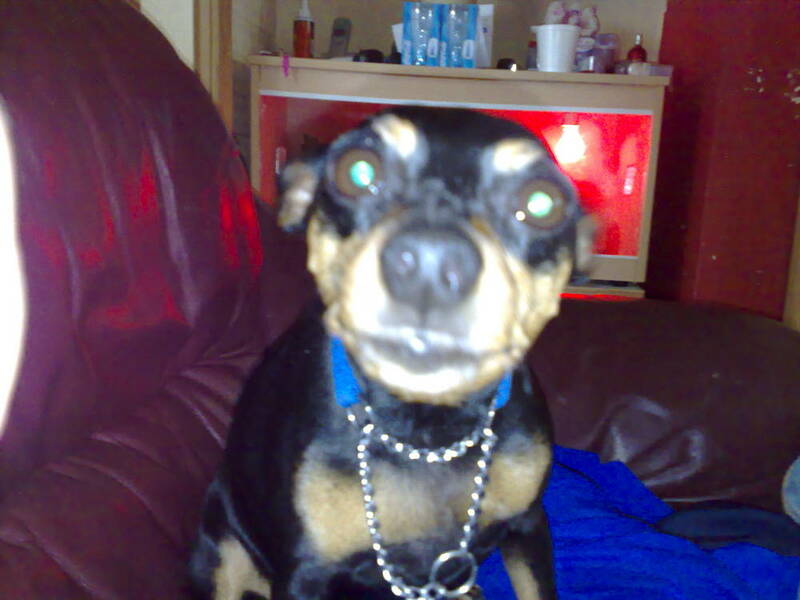 The Miniature Pinscher, or Min Pin as it is sometimes called, is a compact, sturdy, muscular, sleek dog belonging to the Toy Group. It has a smooth, hard straight coat that closely follows the body and covers it from head to toe. The coat is usually red in color, but can also be found in black and tan or chocolate. The small rust-colored markings are well-defined. The eyes are dark, sometimes even black, and are slightly oval in shape. The ears are triangular and erect, and are usually docked. The tail is always docked, and set high on the back. 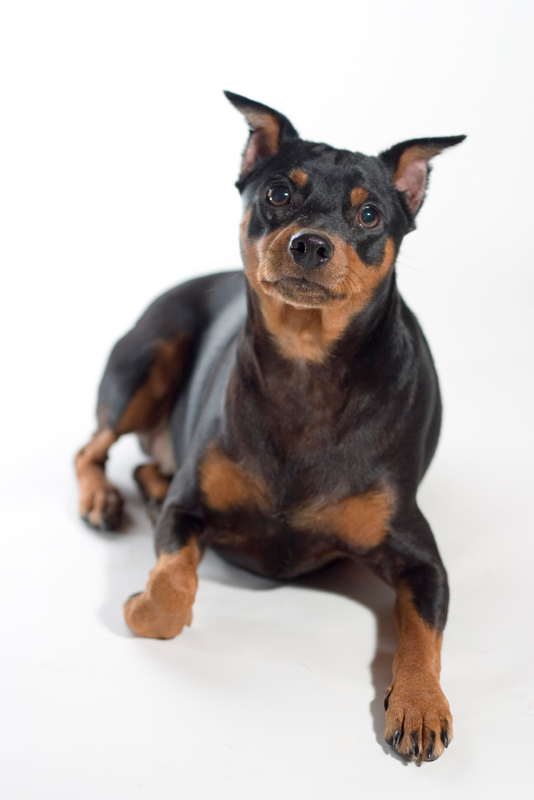 The Miniature Pinscher has a strong muzzle, black nose, and a scissors bite. Its small feet are catlike in appearance. 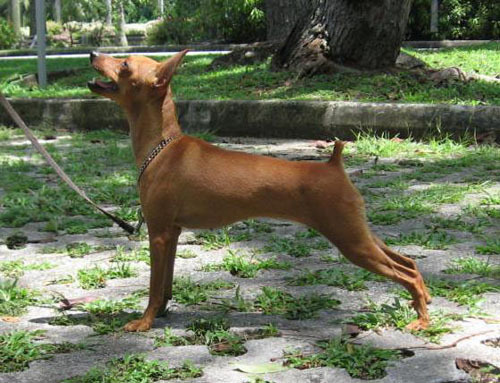 Although small and compact, the Miniature Pinscher is a sturdy dog with a well-developed chest, muscular thighs, and a unique high-stepping gait. Height (Male) 10 - 12.5"
Common Misspellings Minature Pincher, Miniture Pincer or Miniature Pinsher. The dog is attentive, alert, and loyal to its owner. 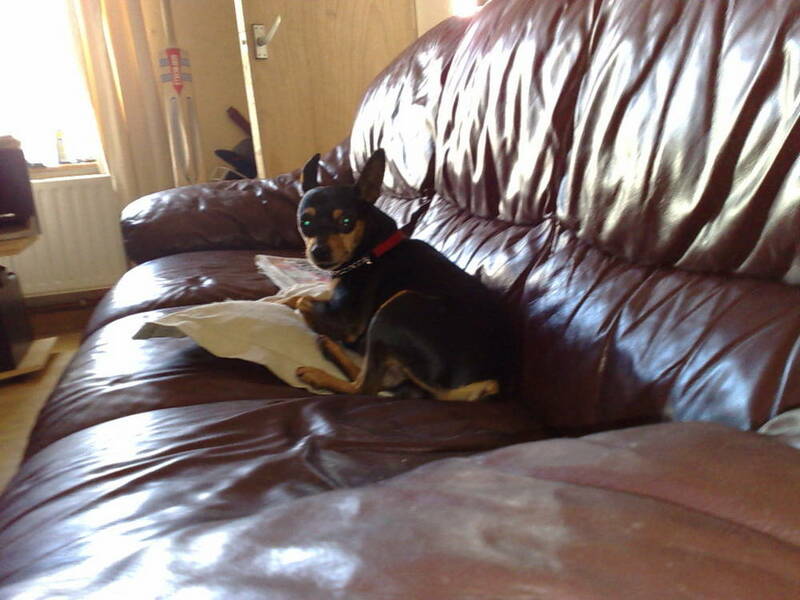 Quick to learn and always curious, the Min Pin can pick up obedience and new tricks rather easily; actually getting the obstinate little guys to listen to you may be another story, however. 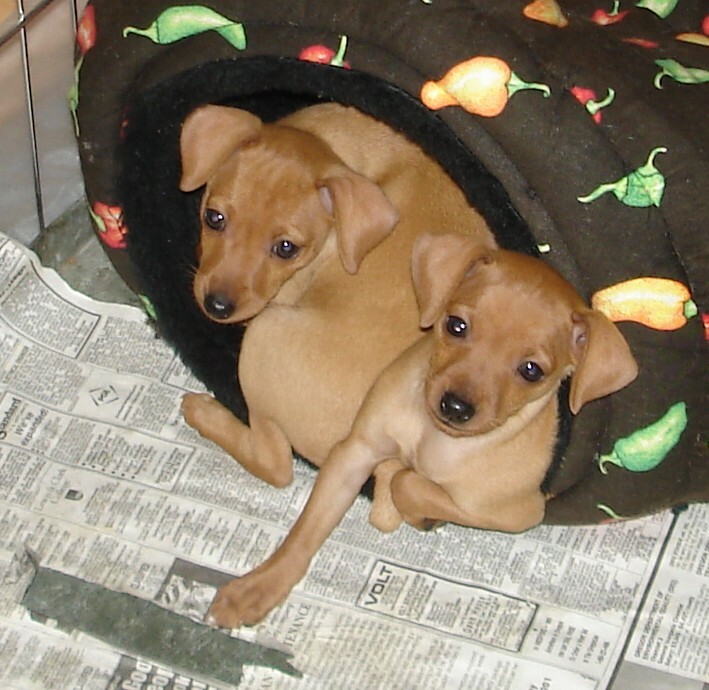 Though generally aggressive and possessive with other dogs, the Miniature Pinscher can get along with children and other pets, provided it is brought up with them from a young age. The instinct to chase small animals is strong in the Min Pin. 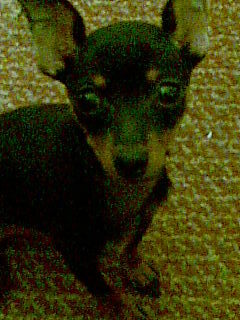 The Miniature Pinscher can be suspicious of strangers at first, and makes a good watchdog, especially since it likes to bark. 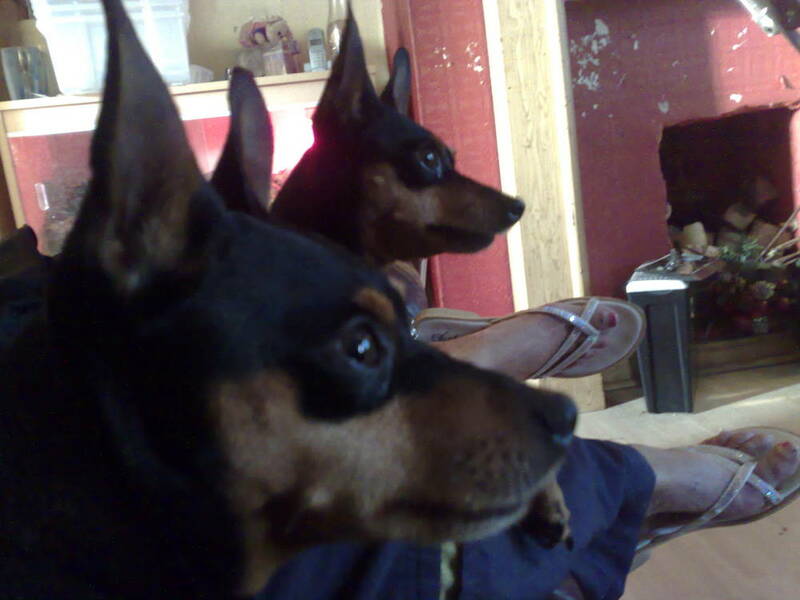 The Miniature Pinscher is not your typical docile lapdog, but it can be very sweet, although care should be taken not to excessively spoil it. This dog likes to chew on toys and small objects, and needs to be watched carefully to ensure that choking does not occur. Since constant bathing tends to dry out the skin, a simple wipe down with a damp cloth will suffice. Use a firm brush or comb for grooming. The dog is ideal for apartment living since it is capable of being active inside. 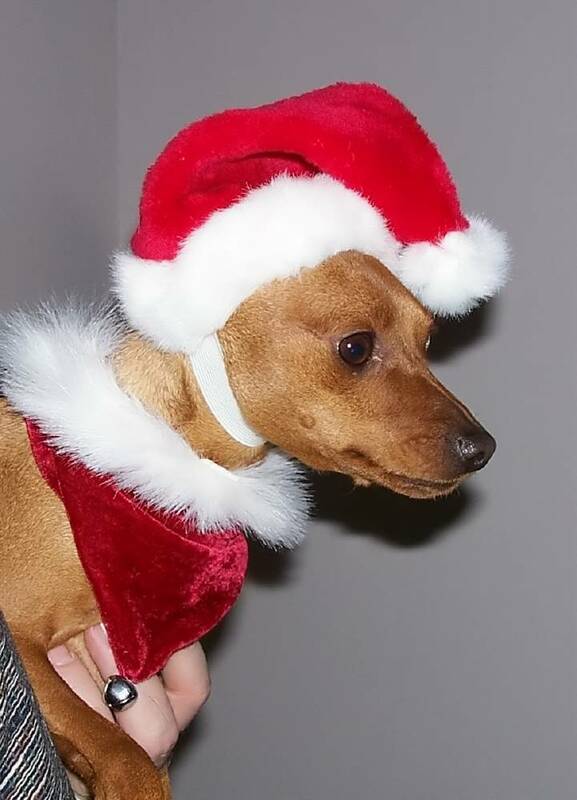 The Miniature Pinscher does enjoy being walked, however, and relishes the opportunity to run and play in an outside environment. 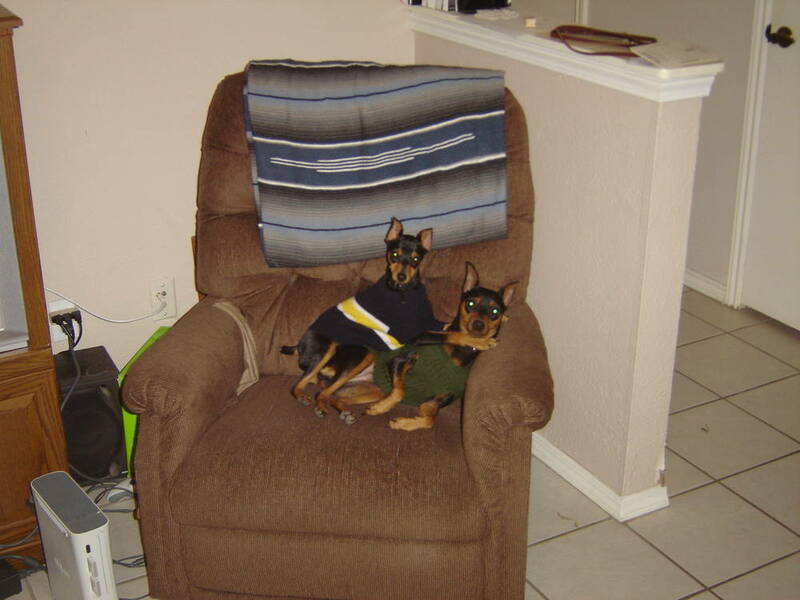 During winter it should be kept warm, and some owners choose to put a sweater on it; the Min Pin hates the cold. The teeth and nails should be cared for regularly. 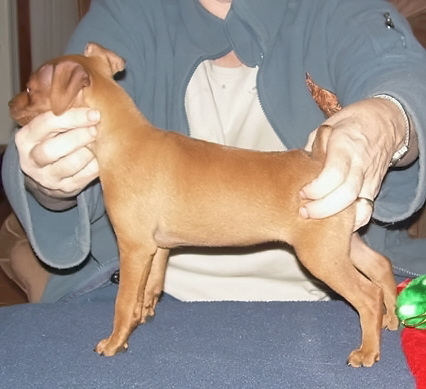 The Miniature Pinscher needs socialization and training starting at a young age, since its fearless nature can often lead to fights with much larger dogs. Serious medical conditions are not commonly seen in the breed, though occasionally one will see heart defects, patellar luxation, cervical dry disk, Legg-Perthes, hypothyroidism and mucopolysacharidosis. 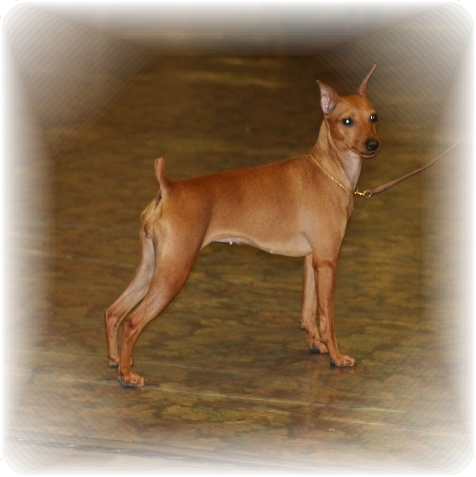 The breed is, in fact, older than the Doberman Pinscher. 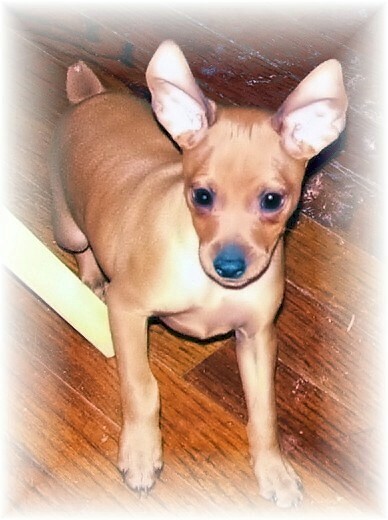 It was developed in Germany by crossbreeding various terriers and other dogs, including the German Pinscher, Dachshund and possibly the Italian Greyhound; the Min Pin was originally created to control the rat population in stables.The Miniature Pinscher or at least a similar looking dog was first depicted in paintings and sculptures beginning in the 17th century. It was not documented in writing, however, until some 200 years ago. 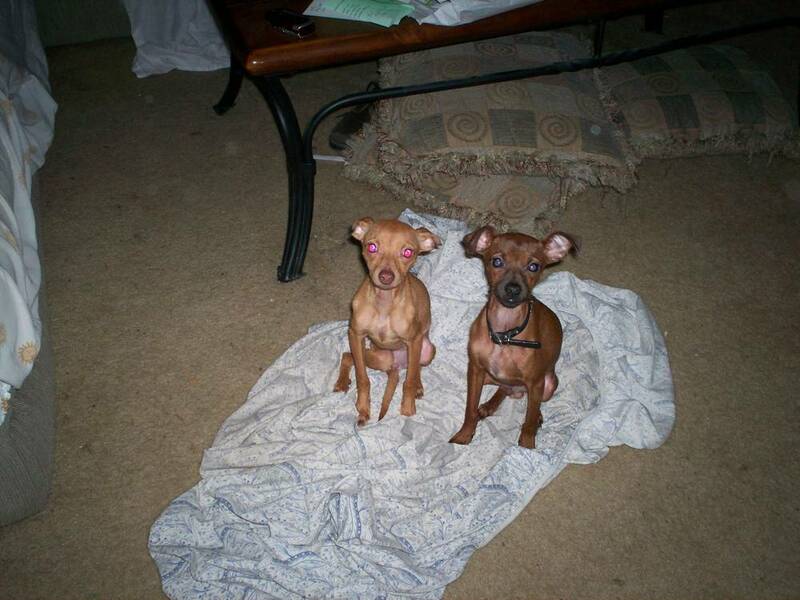 Many people confuse the relationship between the Miniature Pinscher and the Doberman Pinscher, incorrectly believing that the Min Pin is a miniaturized Doberman. 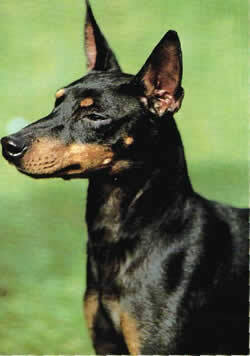 During the 1930s, the Miniature Pinscher breed standard stated that the dog should resemble a small Doberman Pinscher, when in fact the Doberman had been created in 1890 by Lois Dobermann to resemble the Miniature Pinscher. 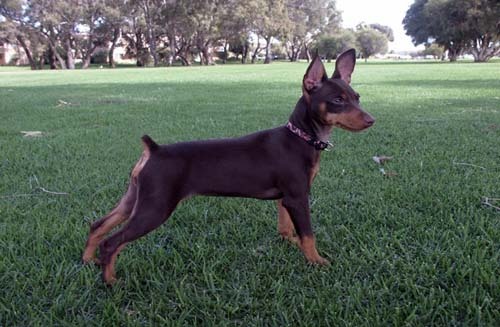 Therefore, it is actually the Doberman that is named and modeled after the Min Pin, not the other way around. 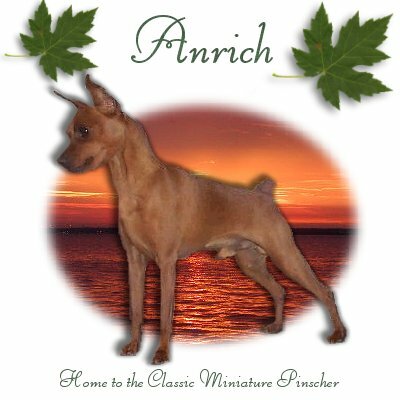 The Miniature Pinscher was first imported to the United States in 1919, and was registered with the American Kennel Club in 1925. 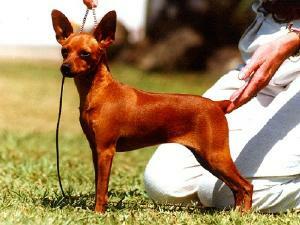 Today, the Min Pin is a fixture at dog shows and one of the more popular breeds in the US. It is often referred to as The King of the Toy Dogs.